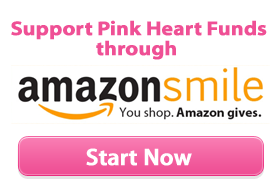 Each year Pink Heart Funds has an annual fundraiser to raise money to provide free wigs, breast prosthesis and lymphedema sleeves to the uninsured going through cancer. We are hosting our 9TH Annual ‘WALK OF HOPE” on Saturday, October 10, 2015 at Long Beach Town Green. What Time: Everyone registers at 7:00 a.m. – Walk/Run/Roll begins at 8:30 am. The annual family-friendly event begins at 8:30 a.m. (registration at 7:15 a.m.) on the hospital’s campus with a 5k Fun Run and a 1 Mile Fun Run through the city of Lucedale. The Pink Pumpkin Patch is free and open to the community. Children can have their photos taken in the pumpkin patch. The event also features face painting, refreshments, and great door prizes (including drawings for free mammograms, gift baskets, and more!). Last year, we were able to give almost $2,600 to The Pink Heart Funds (Long Beach) which provides wigs for those undergoing chemo. We also gave another $2,600 to the Pink Ribbon Fund (Hattiesburg) which helps with doctor bills and transportation. Each of these organizations has helped local George County residents. Both of these organizations are 100% volunteer supported and all money donated is 100% given back! The 5k Fun Walk/Run is $20 and includes a commemorative T-shirt. Pre-register by September 14th to guarantee your shirt!